This is the first part of a six-part series on our camel trek in the Moroccan Sahara. The additional entries will be posted each day over the next week. After that, you can see all six here. The view as I wrote the first draft of this entry into my little, bouncing notebook. As I write this we’re only about two hours into our great Sahara adventure and it’s already the highlight of our Morocco trip. 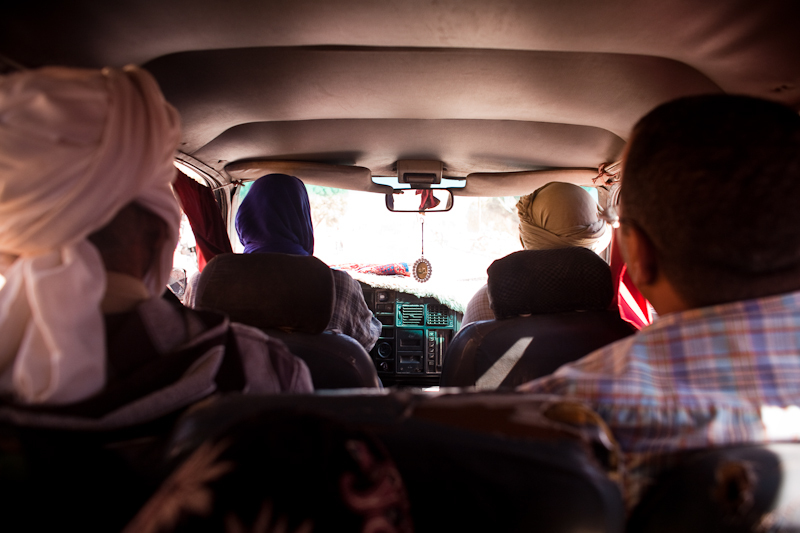 We’re in the back of a grand taxi—one of Morocco’s intercity shared taxis—speeding toward the small village of Tamegroute, where we will hopefully meet our desert guide and hop into a 4WD to head into the dunes. 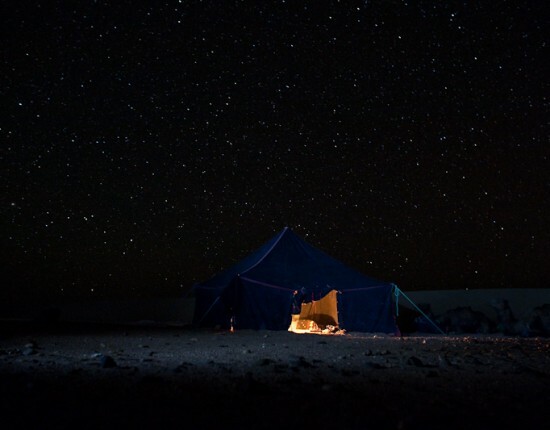 After scouring the overpriced tours available in Marrakesh, we decided to simply head to the desert on our own in the hopes of arranging something on the ground. That has proven to be a good decision. In Marrakesh we found several travel agents, who practiced varying-intensity versions of the hard sell, most of which we found in dirty, hot offices. One of them seemed to offer an excellent service, but at some-9,000 Moroccan dirhams for four day/three nights, was way out of our budget. Nine thousand dirhams is equivalent to about 900 Euros, or about $1,150 CDN. We hoped to spend less than half of this. 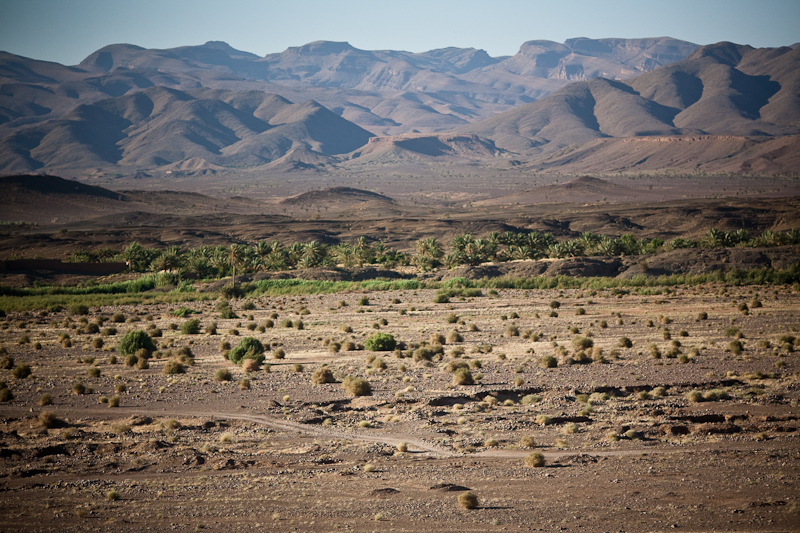 Anyone seeking a Sahara experience in Morocco has to make one big decision: go to Erg Chigaga, near the village of M’Hamid, or head for Erg Chebbi, near Merzouga. Erg Chebbi is the common choice, and has a bit more tourist infrastructure and more operators, but tends to also be a bit more over run by visitors, which, according to The Book (Lonely Planet’s Morocco) can spoil the romantic desolation of the desert. As such, I was fairly set on making the slightly more difficult voyage to Erg Chigaga in the south. 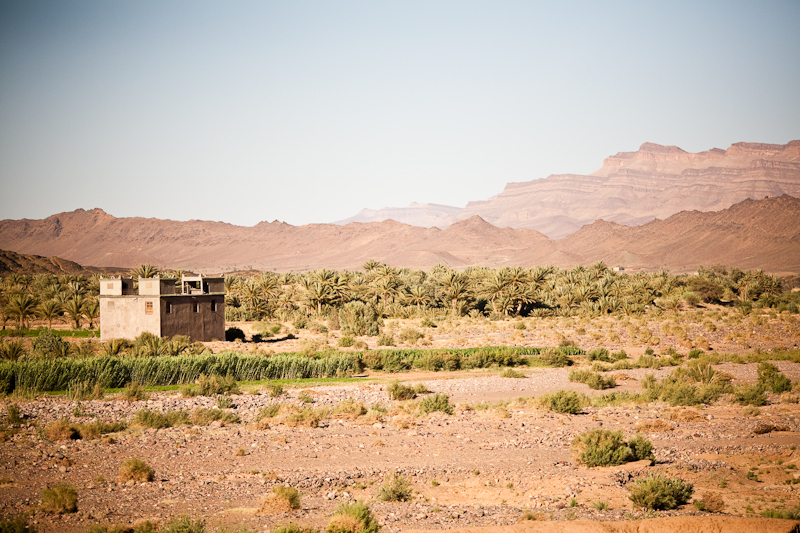 Our plan was to take the bus from Marrakech across the Atlas Mountains to Ouarzazate (“War-za-zat”), through to Zagora, and then finally into M’Hamid, where we would spend the night, find a trek operator, and head out into the desert. The scenery on the long bus ride from Marrakesh to Zagora was unlike anything I’ve ever seen before, at times like the American desert in the Southwest, at others like pictures I’ve seen of the Nile river, but mostly wholly unique. No written description can evoke the sense of awe we felt in crossing the harsh and rugged Tizi’n’test Pass, the road literally perched atop a mountain ridge falling away for hundreds of meters on both sides. Words can’t capture the abject terror of peering down 1000-foot drops from the cramped seat of a swaying bus while the driver seemed more intent on beating his own previous record of passing on blind corners than in actually ensuring his cargo arrives in one piece, or the wonder of the lush green palmeraie (palm grove) growing like a miracle along the length of the Draa River Valley. Our bus ride was about nine hours. This woman was sitting in front of me for most of the way. Her hands are stained with henna and, presumably, other natural dyes. 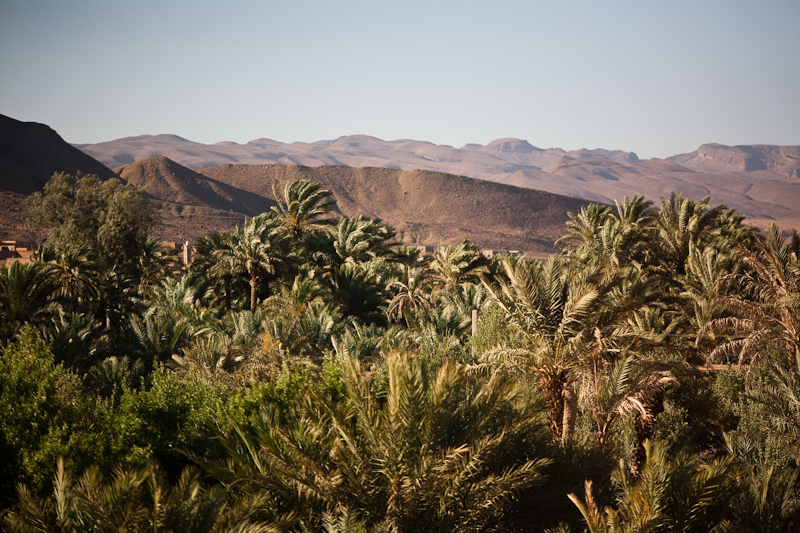 The lush palmeraies are warrens of agriculture and development, including roads, mudbrick walls to demarcate property and all sorts of clever irrigation. Unfortunately, the Berbers who have been farming here for generations are facing the same problems of heritage that other cultures face. Each generation splits their land holdings among their sons, and now each holding is getting too small for each family to live off of. 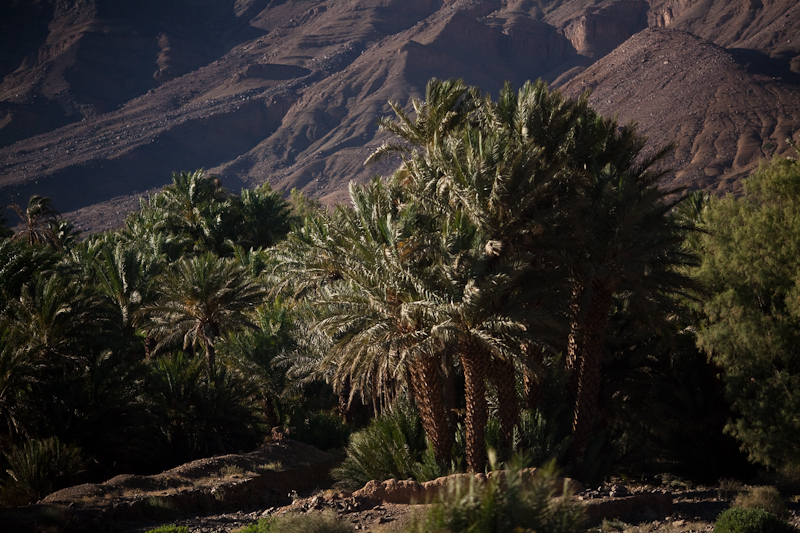 Palm trees along the Draa Valley. About eight hours out of Marrakesh we disembarked with relief in Zagora, rather than going the additional hour and a half all the way to M’Hamid. 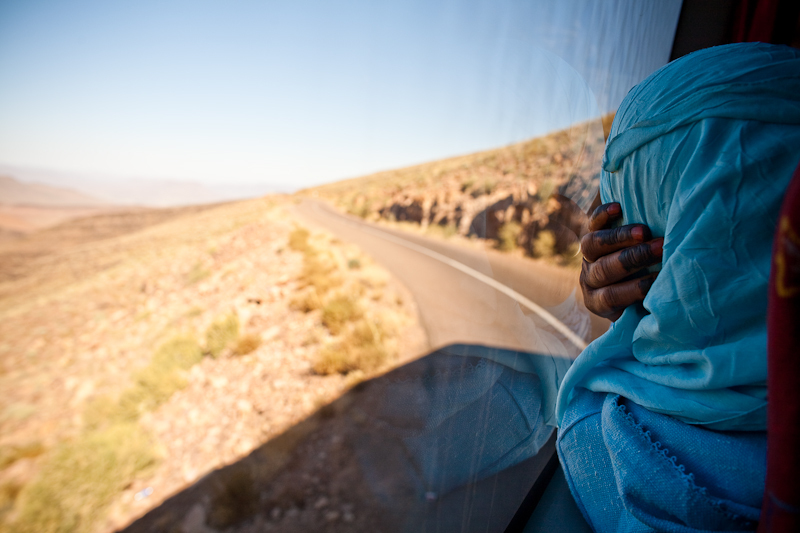 The bus ride had been long, at times frightening, and very difficult for Laura, who was suffering from some car sickness, and we figured (correctly) that there would be more options for accomodation and tours in the much-larger Zagora. 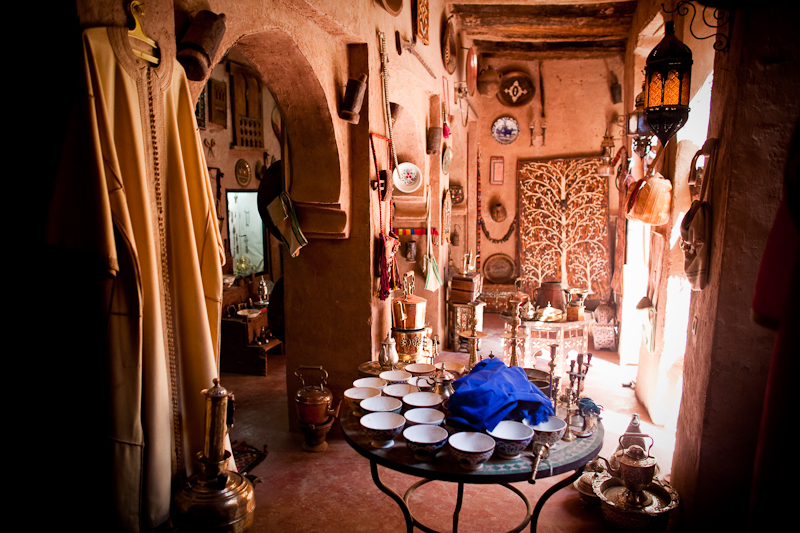 Zagora is a small, dusty city that originated as a launching point on the desert caravan route across the Sahara, was of some importance as a French colonial outpost during the protectorate and now seems almost wholly dedicated to getting tourists into the desert. 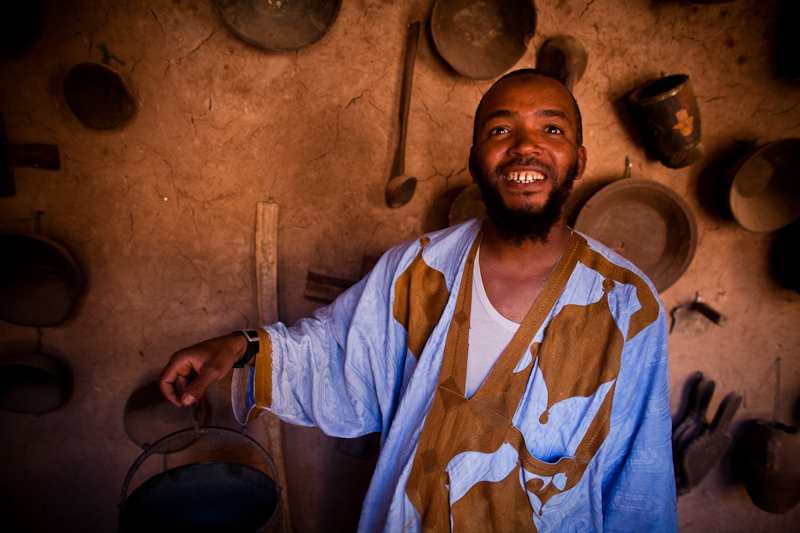 We were beset immediately by a friendly but persistent tour operator named Younes, who insisted on walking us to our hotel and made a somewhat heavy-handed effort at booking us on one of his desert excursions. 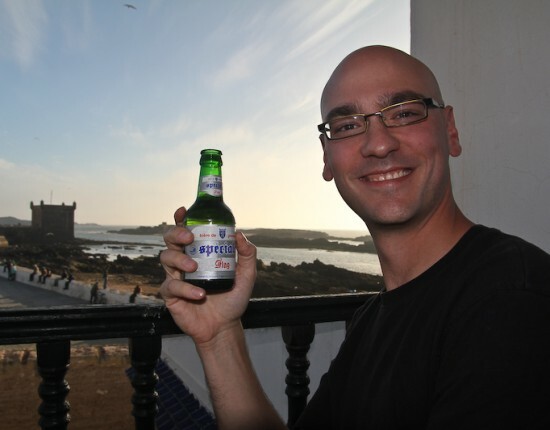 We spent the night at a budget hotel, with plans to rise early to meet Younes and check out the other options in Zagora. After consideration and some preliminary bargaining, we politely declined, and eventually booked with a much more laid-back operator named Mohammed, who not only beat everyone else we scoped out in price and friendliness, but also offered to extend our plans by one day at no additional cost. 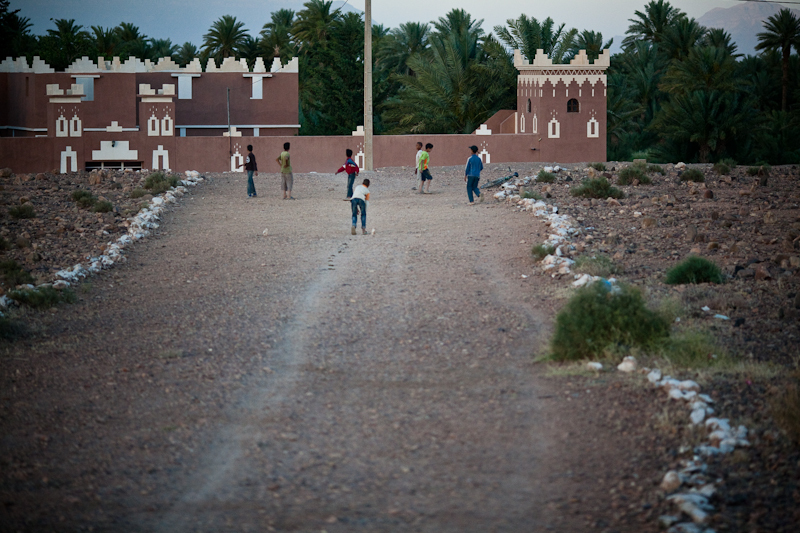 For 4,000 dirham (about $500 CDN), we booked a 5-day/4-night camel trek, including a brief tour of the local palmeraie, as well as an old Jewish Kasbah where skilled artisans still create jewelry using the techniques of the long-gone Jewish residents. 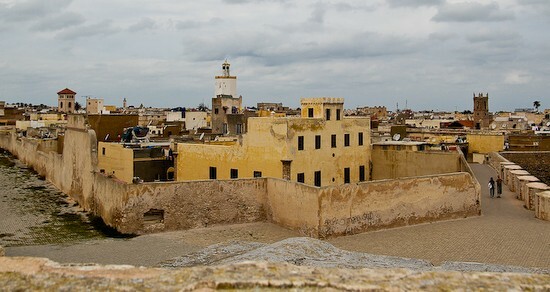 Mohammed walked us through these places this afternoon, explaining that many people, himself included, still call this 300-year-old fortress home. Tonight we sleep in a Berber tent in the desert, in order to be able to leave first thing in the morning on our trek. As we understand it, we will rise each morning with our guide, pack up camp, and mount the camels for a three or four hour ride (supplemented with some walking), before stopping for a long mid day break, and then doing a similar trek in the afternoon. Our goal is the great 300m dunes of Erg Chigaga, some 60 km into the desert from our base camp. After the crush of the tourist hordes in Marrakesh, we are actually thankful that our plans don’t include air-conditioned coaches or loud tour groups. This man showed us around the jewelry workshop and showroom. He was very friendly. Some of the knick-knacks on offer in the workshop showroom we visited. This fellow hand-pours silver and other metals into cusotm molds, and then stamps them with custom designs in a traditional artisanal workshop that has been in use for hundreds of years. 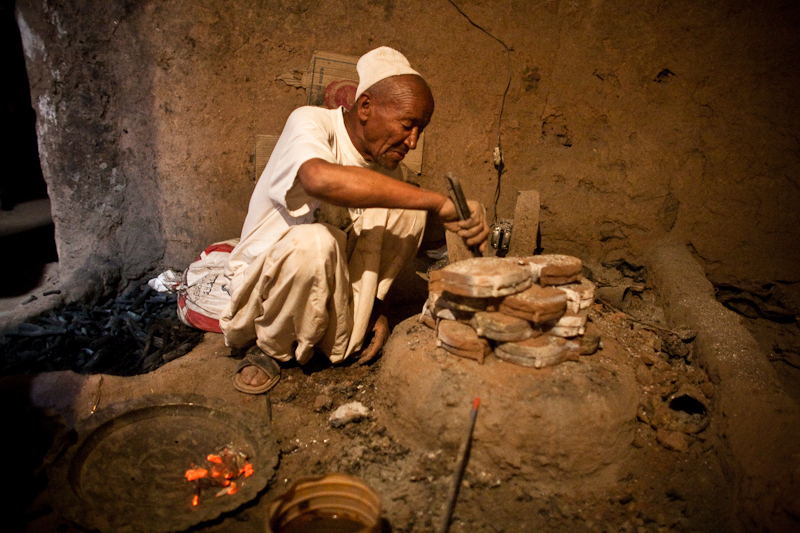 Those things that look like Moroccan grilled cheese sandwiches (Laura's joke) are clay molds for the jewelry. So this is how we’ve come to find ourselves in the toasty and cramped backseat of what has to be the sorriest old station wagon I’ve ever been in. Our fellow passengers are three Moroccan men, who along with the driver, have said exactly zero words since we left Zagora. Some Saharian music is blaring through the taxi’s tinny, burnt-out speakers, a mix between upbeat Middle eastern techno, African drums and call-and-response singing in what I assume is Arabic. We’re lucky to not be sharing the backseat with two other passengers, as it is not uncommon to fit six in a grand taxi. As it is, my legs are basically in my own lap and Laura and I are hunched over to avoid hitting our heads on the low roof with each bump of a very bumpy road. We are currently ascending one of the last passes over a rocky ridge of jebels before we enter the Sahara proper, and the feeling I have right now is one of the reasons I wanted to travel. It is an intoxicating mix of anticipation, excitement and curiosity, with an added sense of accomplishment for deciding to come out to this remote place, and actually doing it; getting past the touts, salesmen and shoddy operators trying to snag as many dirhams from each tourist as possible, and making it this far. Of course, thousands of others have made this journey before us, but somehow that doesn’t matter one bit. All that matters is that in a couple more hours we’ll be away from everything, on the edge of the Sahara desert, with only the stars and the sand, and a guide who supposedly even speaks some English. 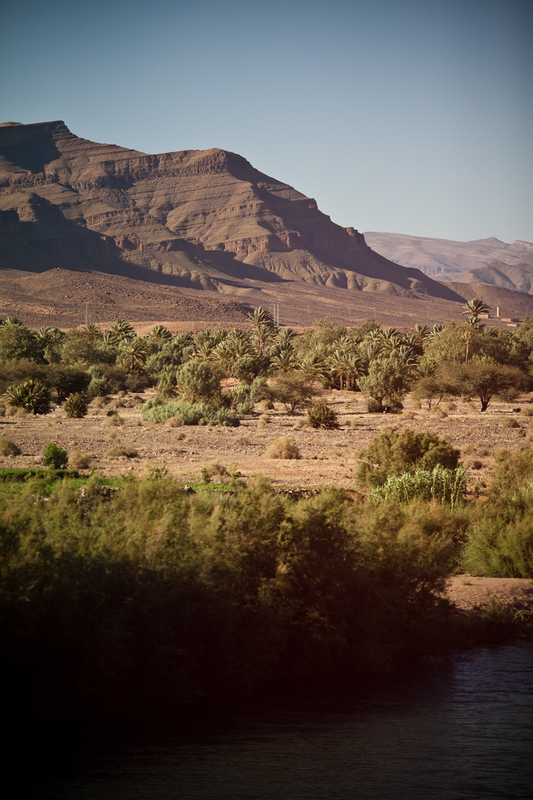 A hotel in the lush Draa River Valley. I shot these from the bus. The tinted windows acted like huge polarizers. 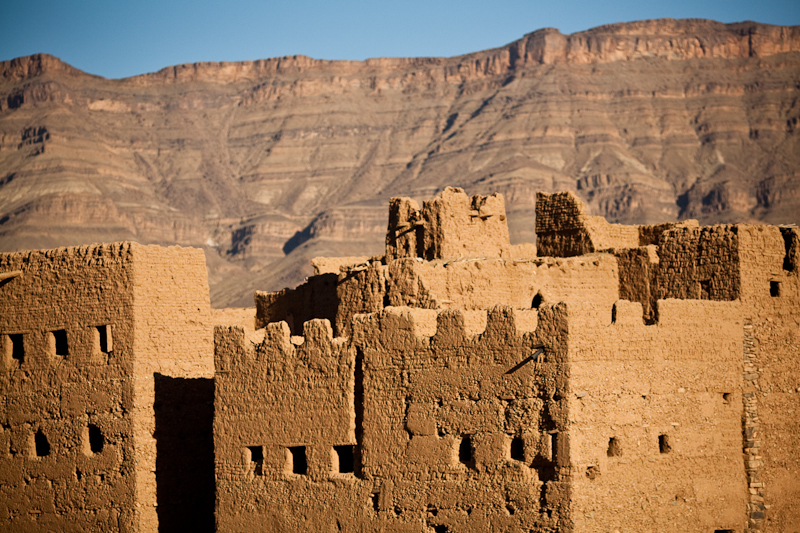 An old Kasbah in the Draa. Another old fortress of some type. 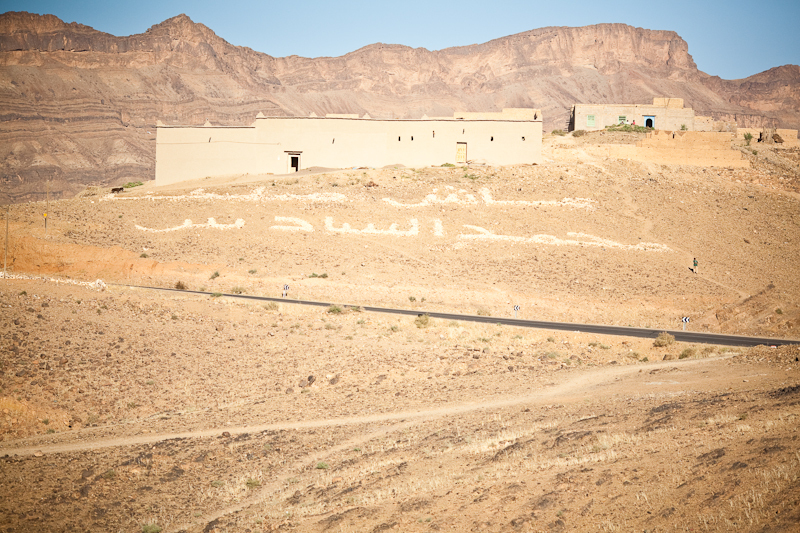 These Arabic scripts dotted the landscapes in many locations. Although I'm not sure about this one, a gentleman we met in the Gendarmerie told us they generaly say things like "Allah, Morocco, and King Mohammed VI" - as in, "Long live" these things. The contrast between the dry, the lush, and the rugged mountains were what set these landscapes apart from anything I've ever encountered. 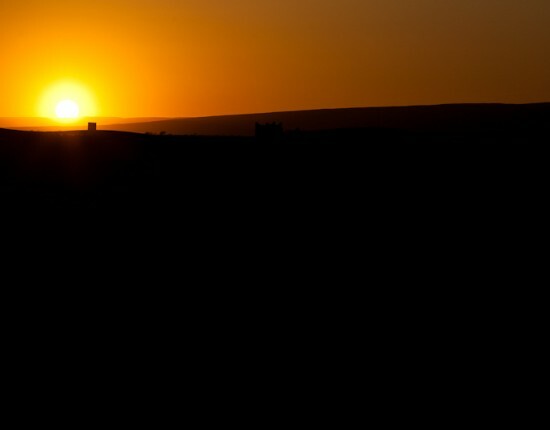 This is just one part of a six-part series on our camel trek in the Moroccan Sahara. To read the full story, please click here. 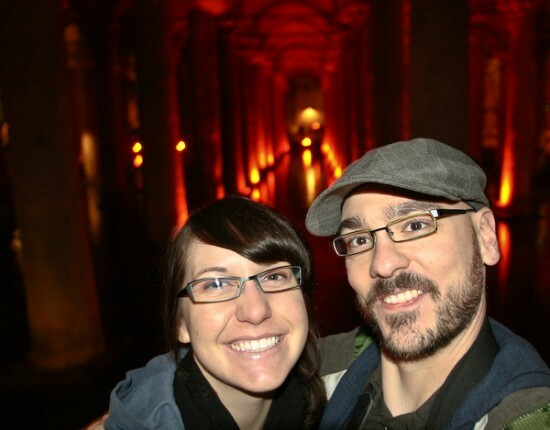 Once again I am totally blown away by what you two are getting do and see….and the pictures just keep getting better and better.